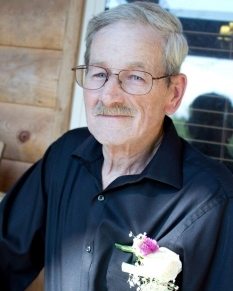 Mr. Douglas Murray Todd, age 74 of Zebulon, Georgia passed away Tuesday, February 5, 2019 at his residence. He was born on June 14, 1944 in Ottawa, Canada. He is preceded in death by his parents, James Carson Todd and Jean Imry Sharp Todd. Mr. Todd served his country in the United States Army retiring as a Warrant Officer after 20 years of service. He loved his family, loved his pets, gambling and coin collecting. He is survived by his loving wife Johanna Mohr Todd; daughters, JoAnn and Dave Bernier, Martina Todd Lane; grandchildren, Jonathon Vladimiroff, Lianna Abrahams, Chase Gutierrez, Raven Coates, Caimen Lane; great grandchildren, Teagen Vladimiroff, Mylee Vladimiroff, Lucas Abrahams. A visitation will be Saturday, February 9, 2019 from 3:00 pm until 5:00 pm at Conner-Westbury Funeral Home. Following the visitation, a memorial service will be conducted in the chapel at 5:00 pm.